My name is Conor Donnellan and I am a student at St. John Bosco Community College, Kildysart, Co. Clare. 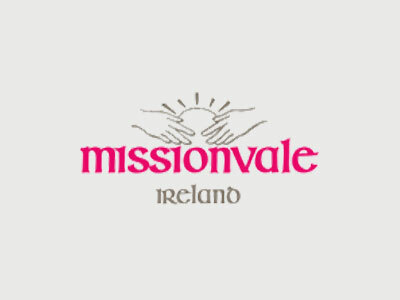 I travelled to South Africa with the charity Missionvale Ireland in January,2015. For me this was the best experience I have encountered to date. It was a very productive ten days both mentally and physically. I really learned a lot from this trip. When we arrived in Missionvale on Sunday evening, we got a tour of the Missionvale Care Centre and we got a briefing on what would happen for the week ahead. Our work started the following morning and we had to get up a 6.15 am and be out of the hotel, on the bus for 7.00am that was a task in itself! On arrival in Missionvale we were greeted by the people of Missionvale with songs and dances. That for me was something I won’t forget. The work started immediately and I was sent to the gardens where I worked for the day under the blistering sun. This was good because I gained the knowledge on how to sow and how hard it is to have a garden with fruit and vegetables in Summer time in South Africa with very little rain. The next day I spent the day in the clothes warehouse folding and putting clothes on the shelves. The people of Missionvale get thousands of bags of clothes from a lot of countries. Wednesday I went to the Father Christmas warehouse where I wrapped presents all day for the children of Missionvale. Father Christmas comes to over 7,000 children in Missionvale. Thursday I handed out food to the people of Missionvale. It was a fantastic experience seeing the people’s faces light up after giving them food. A food parcel consisted of a half a loaf of bread, five teabags, soup powder and two bars of soap. Friday for me was the hardest day both mentally and physically. In the morning we went out into the township of Missionvale. It certainly was an eye opener to see the conditions the people live in and to say the least it was an overwhelming experience. In the afternoon I barrowed concrete and for me that was physically tiring underneath the hot sun. Looking back on this trip there were many positive moments like seeing the smiles and energy of the children even though they have very little. What I found difficult to take was not alone the poverty but I realise some people have great potential to achieve better things but can’t because they have no money to get them out of the poverty circle. Over the week I had the pleasure of meeting one of the most inspirational women I now know, Sr. Ethel Normoyle. She had great love for us as we did for her. I find it hard to describe her as she is just amazing in the work she does and I really learned a lot from her. I hope I can return in the future and help again once more.